Naveen Dhaliwal has the latest developments. TODT HILL, Staten Island -- The NYPD has arrested a 24-year-old man in the shooting death earlier this week in Staten Island of reputed Gambino boss Francesco "Frankie Boy" Cali, police sources told our sister station Eyewitness News in New York. 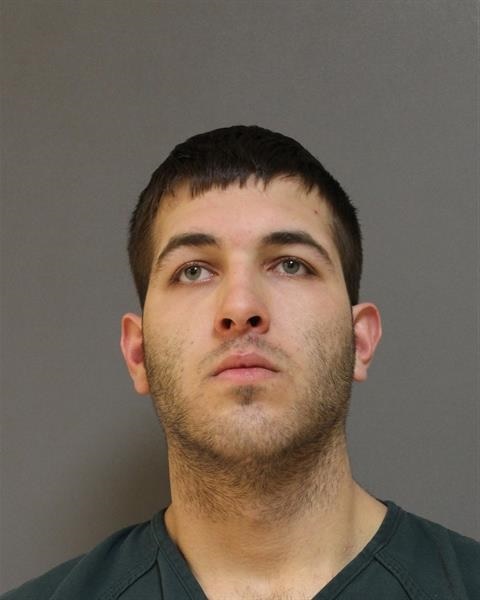 24-year-old Anthony Comello was taken into custody in New Jersey by the police and the FBI's organized crime squad. Comello was being sought in connection with the murder after forensics linked him to the crime scene. According to multiple law enforcement sources, the suspect is making conflicting statements but a leading theory at this point involves him dating one of Cali's female relatives. At some point Cali told him to stop seeing her. Detectives discovered a fingerprint on Cali's SUV and the suspect was tracked by his phone. The pickup truck eyewitnesses saw at the scene was with him when cops and FBI agents found him in Brick, NJ. Multiple police sources say that Comello reportedly shot Cali Wednesday night drove up to the mobster's Hilltop Terrace home in the Todt Hill section, came to a stop, and then gunned the engine in reverse, crashing into Cali's parked Cadillac SUV. Once Cali came outside the home, sources said, video showed the two men talking and then shaking hands. Apparently Cali sensed no danger, because he turned his back on his killer to put the license plate inside the rear of the SUV. That's when the gunman took out a 9mm handgun, held it with two hands -- as if he was trained, the sources said -- and opened fire.